TTFB is short form used for Time to first byte.As the name suggests it is total time taken for the first bytes of your web page to reach visitor browser.TTFB will be less if your server responds faster.There are many steps involved in this process.But we will concentrate on generation of web page by your server.The faster the page is generated the better is TTFB and load time of your website. You can use webpagetest.org to test your time to first byte.This site is used to test your website speed.It also gives you idea about your time to first byte.It gives different grades (A,B,C,D,E,F) depending upon your TTFB.Getting A or B in TTFB matrix is good.It also mentions your website TTFB in seconds. Below is the image of my website speed test using webpagetest.org.You can see the time to first byte of my site in the image. The second website which gives good amount of information about Time to first byte is bytecheck.com.Your time to first byte depends upon location of server and browser location.But it is better to have time to first byte less than 1 sec.Anything more than this is not considered good. The faster the page is returned by your server the better is time to first byte.I will discuss all the techniques used to improve your TTFB.Improving TTFB is first step in website performance optimization.If your time to first byte is more your page load time can never be good. In the first method I will be discussing on WordPress content management system only.But since most of the content management systems are similar it applies to others as well.Most of the content management systems have plugins and themes along with core to extend functionality provided by the core. The other two optimization methods mentioned in this post are applicable to all websites.They are not dependent on any platform.So if you are not WordPress user then you can safely move to second point and third point.But you can try to make sense of first point in terms of your content management system. As mentioned above WordPress can be divided into three parts namely WordPress core,WordPress themes and WordPress plugins.So the time taken to generate a web page is you are using WordPress is combination of time taken by these three components. So analyzing these three components individually will be beneficial.So I thought to conduct a simple test.The aim was to find the component contributing the most in total load time.Reducing the component time consuming most time will eventually decrease total load time or page generation time.This will lead to faster TTFB (time to first byte). To test this I used P3 plugin (plugin performance profiler).This plugin breaks down total load time into different components as mentioned above.I tested on my test website.The test website was using 15 plugins with no modification to WordPress core but some modification to WordPress theme. The above test showed that major plugin load time was major contributor in total load time.The WordPress core and theme load time were pretty much negligible compared to plugin load time.So our major focus will be on reducing plugin load time.P3 plugin gives information about different plugins contribution to plugin load time.So plugins adding time to total plugin time can be figured out. Based on this finding I deleted three plugins not very important for website but were contributing decently in plugin load time.After deleting the three plugins I performed the test again.This time total number of plugins was 12. So you can see that percentage performance gain is as much as 51%.You will not always have this much performance gain.But on an average more than 20% gain can be expected.I have run similar tests for few times and in all cases performance gain was there.Performance gain will depend on number of total plugins you are using and number of plugins you are deleting.It will also depend on plugin you are deleting. In my case I deleted three plugins out of which two plugins were not important and were taking decent load times.Some plugins are back end only and do not add up in load time for example my sitemap plugins.Deleting these plugins may not improve your performance to great extend.So you should run P3 test and see times taken by different plugin and delete those which are not important. WordPress is fast.It by no means can be termed as slow as criticized by many.WordPress core had good response time of 0.05 secs on an average.This is not bad at all. Theme load time may differ in your case.I have optimized my theme for performance.Later in the post I will cover WordPress theme optimization as well.Testing with default WordPress theme without any customization might lessen plugin load time.But after that also plugin load time will be major contributor in total load time. The three plugins deleted were not the worst ones in terms of load time.They are decent plugins best in their task.It is number of plugins that makes things worse. Installing plugins in your production site to test them.WordPress offers multiple plugins for same functionality.In my initial days I activated few of them to test on my production site before settling on one plugin.Each plugin does add some entries in wp_options table on activation.So your wp_options table becomes bulkier with time.This impact your query time.So it is better to use your test site for testing the plugins before using on production site. You should delete them after use.This is recommended but in case you do not want to install time and again then you can deactivate it after use. Above can be achieved by a non technical user of WordPress as well.There is no need for modification of WordPress core and theme you are using. The next steps mentioned can be taken care of after above steps. For each page request these database calls are made.This increases database hits (database server load) and thus slows down the website.As number of page request increases the database load increases and slows down the website. open your website in browser and view page source by right clicking on webpage and choosing view page source. replace all above functions with the corresponding value from page source. We can use cache to improve time to first byte.If cache of a page exist then requested web page is loaded from cache itself.This reduces response time.The page will be catered fast.The reason is that all code mentioned above will be bypassed.Only the code required to locate the cached version of page will run. There are many caching methods available.In case you are using VPS or dedicated server then I would suggest using Google PageSpeed.I have written a detailed post on ngx_pagespeed.I will not suggest using any WordPress caching plugin for VPS users or dedicated server users.ngx_pagespeed can be used for users of any content management system. For shared hosting users it is better to use WordPress caching plugins.There are many caching plugins available.But most complete one is W3 Total Cache.This plugin has lot of options and is tough to configure for new users.So I have written a detailed post on W3 Total Cache configuration. This is another method to improve your time to first byte.There are many Content Delivery networks.But I will like to discuss about CloudFlare free content delivery network.I have used this content delivery network myself.It is good way to improve your TTFB. I have written detailed post on configuration of CloudFlare content delivery network.It is step by step tutorial.You can read the post and in parallel configure your site to use CloudFlare.Shared hosting users can also use CloudFlare free CDN. I would suggest you to employ all the methods mentioned above.First solution should not be ignored.As it improves TTFB of not cached web page.If you are not taking care of first method then your not cached web page request time to first byte will be significantly higher.Using last two methods will help you decrease time to first byte TTFB of cached pages. Request Start ,DNS LookUp,Initial Connection,Time to first byte and content download for the first entry. Do you know TTFB changed widely? This is by far the most comprehensive overview on improving speed and TTFB on WordPress! A while ago, I was struggling with improving mine as I couldn’t figure out where the issue lied. Now I know it is actually very easy to make the changes and even for people with less experience with HTML can easily make the changes (as you also described them very well). I went for a bit easier solution and just got a new theme that was already built for speedy results. In case anyone else would like to find some fast themes, I recommend this site: https://ttfbtest.com/ as it has the best variety and all TTFB-s are pointed out. However, I am truly thankful for your tutorial as it gave amazing insights to how to take my site even further! Your first byte time seems fine this time.Now if you are using responsive design then same we page gets loaded on desktop as well as mobile.This increases mobile load time (mobile is slow compared to desktop).You can also see SpeedIndex of your website (provided in webpagetest.org test result).SpeedIndex is important from search engine optimization point as well.This is what Google is looking for. It is important to display content part of website first and load other things like Ads,Social sharing widgets later.So you complete website load time can be slower without doing you any harm if some parts of your website loads fast (content preferably). Google tried to compute that with SpeedIndex. I am trying to understand as best as I can. I chucked out wordfence plugin as soon as you told me. 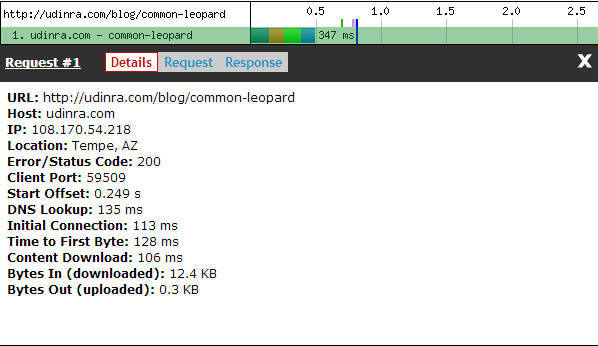 webpagetest has given A for the First Byte Time. I do not know what exactly I need to do so that visitors get the page in the quickest possible time even on their handheld phones. PS: Your website has a very clean, aesthetically pleasant and medically hygienic look. You have chosen to show case both the parts of your website on your homepage. Appears incongruous.